Chip Wilson, the founder of Lululemon, has announced he's stepping down as chairman of the company. In good news, they've conveniently found a new CEO after their long search: Laurent Potdevin, previously of Toms Shoes. The Globe and Mail reported news of Wilson's move on Monday night. Board member Michael Casey will be taking over Wilson's role as chairman and said that the company did not agree with Wilson's statement last month with regards to fat legs. "What's important here is that we focus on the future and not the past," he said, while also claiming that Wilson's plan to leave happened before his comments were made. Wilson will stay on as a board member, though there's been no comment about his wife Shannon Wilson's role in the company; she was once lead designer and has been considered a design mentor since then. She's probably wrapped up in her own projects, like fundraising for education in Ethiopia or building a new school of design named after her and her husband at Kwantlen Polytechnic University. 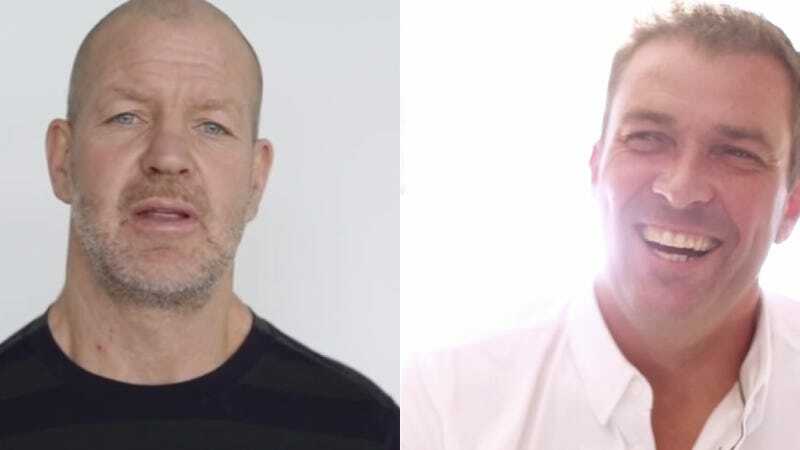 Lululemon celebrated the hiring of Potdevin with multiple YouTube videos; one is a video statement from him sharing his excitement about working with the brand, not dissimilar to the video statement Wilson put out after his thigh-rubbing comments, while the other is an artfully done movie that shows him getting ready to literally sign on as CEO in what's presumably his home. "I have a real passion for building brands around the world and I can't wait to put my efforts towards this goal," says Potdevin, who takes off his Toms to sit cross legged in an upright chair, obvious proof that he is all Lululemon through and through. He's French and he does yoga: he is the Messiah and he has come to save Lululemon from their pilly, transparent pants.